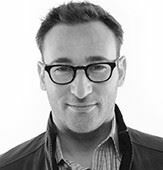 Simon Sinek, one of the most sought after leadership thinkers and consultants around the globe will headline the ‘Start with Why’ Leadership Forum' in Melbourne, Sydney and Auckland in March 2017. Sinek first came into popularity after his Ted talk ‘How Great Leaders Inspire Action’ literally swept across the world. Currently, his talk sits at number three on the list of the twenty most popular TED talks of all time. "People don't buy what you do; they buy why you do it. And what you do simply proves what you believe"
Don’t miss this rare opportunity to hear Simon Sinek share his strategies on how to influence positive change, increase employee engagement and grow key leadership competencies and in turn help you grow. 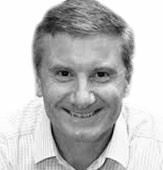 Simon's one-day program will be supported by Peter Docker, a contributing partner of "Start with Why” since 2011. Docker is passionate about enabling others to be extraordinary. He helps to harness the power of “why” and to create extraordinary and sustainable high-performing cultures. His presentation will focus on the implementation portion of ‘Start with Why’ for your leadership team and your business. VIP - $1295 per person inc GST (limited tickets available - includes reserved front of house eating, an intimate VIP lunch including Q&A with Simon Sinek, access to VIP lounge area and a copy of a Simon Sinek book.